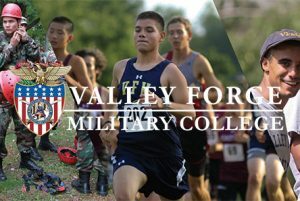 We invite you to join the Valley Forge Military Academy and College community by applying for one of the open employment opportunities for the Academy, the College, and Summer Camp. The Associate Dean of VFMC acts as the Chief Academic Officer for the College working directly with faculty, Director of Library Services, and the Director of the Learning Assessment and Support Center on curriculum and academic support services to students. Provides direct supervision of the Faculty, Learning Assessment and Support Center, Library and faculty senate; ensure regular meetings with all and adherence to college policies and procedures including, but not limited to: time off, vacations, academic policies, faculty obligations. Works collaboratively with Registrar on Faculty course loads, online course offerings, academic progress, course offerings, and College Course Catalog. Master’s degree required, doctorate preferred. All degrees must be from regionally accredited institutes. Three to five years teaching experience in higher education. Experience in management role in higher education administration. Excellent interpersonal skills required, along with ability to manage multiple projects. Proficient in Microsoft Office and Outlook applications. Well-organized, detail oriented, self-starter, ability to write and communicate effectively, ability to handle sensitive information, works well under pressure. Must possess the ability to work well with others. The Associate Dean of Students will provide leadership in the furtherance of student success and the mission and goals of VFMC. Reporting to the Dean of the College, the Associate Dean of Students plans and directs activities related to students’ services and campus life and will provide support to assist students with matters that may affect the students’ quality of life or the pursuit of their goals, The Associate Dean manages the Student Services team, including: Students Services Coordinator, Counseling Center, and the Resident Life Team. 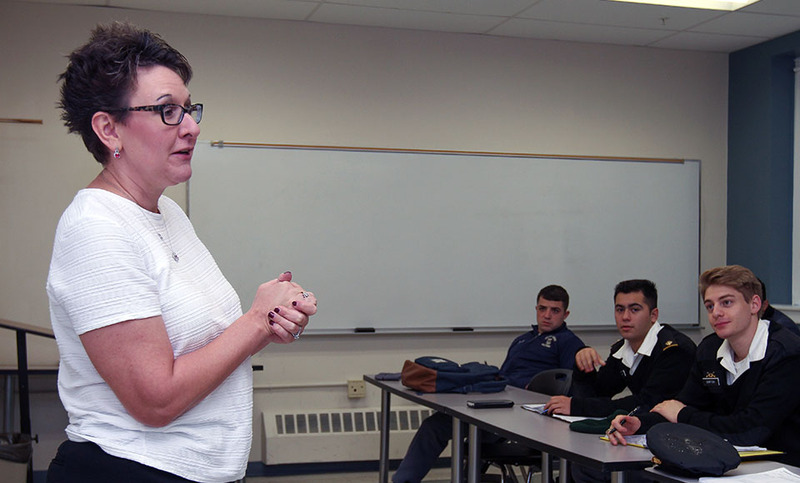 The Associate Dean of Students is responsible for the student life component of the new Pathways Program, which is an alternative to the Corps of Cadets. Serves as the primary administrator managing student life programming for VFMC students, in collaboration with the Commandant’s Office who has oversight of Corps of Cadets and in collaboration with Student Activities (managed by the Athletics Department). Provides administrative leadership for the student and residential life component of the Pathways Program. Serves as the Retention Officer for VFMC. Manages all disciplinary processes for students enrolled in the Pathways Program in accordance with VFMC policies and standards. Oversees student government organizations for VFMC, assists student leadership in organizing meetings, and sets priorities for the academic year with the group. Responsible for execution of the student orientation program, including intensive orientation for Pathways Program students. Collaborates with the Associate Dean of Academics and the Advising department on First Year Experience. Serves as the Primary administrator for the Commuter program. Works with the Commandant’s department to ensure housing assignments for Pathways Program students, including accessibility accommodations. Manages Resident Staff and Resident student staff that oversees the Pathways Program and ensures standards and accountability of the program. Upholds the Honor Code and Rules and Regulations of VFMC and the Pathways Program. Serves as the liaison between Administration and student organizations. Develops and executes long and short-term measurable departmental goals, consistent with the College and department missions, aimed at optimizing student engagement, residential living, and retention. Executes department assessment initiatives; provides end of year report that includes recommendations to the Dean for improvement. Responsible for developing and maintaining policies as they pertain to student life and its development at VFMC. Assists in the opening and closing of all residence hall at the beginning and end of each semester and for all breaks; tracks requests to stay late/return early; conveys relevant information with the College, Commandant’s Office; Campus Security; and Facility Management. Responsible for ensuring that all emergencies in and outside of the regular workday are covered and responded to. Successful candidate must possess a master’s degree from an accredited institution in a related filed. Successful track record of developing and empowering professional staff and cultivating positive team cultures. Demonstrated capacity to connect with individuals across racial, ethnic, cultural, religious, gender, sexual orientation, ability, and other identities. Excellent customer service and interpersonal skills required, along with ability to manage multiple projects. Experience in implementing assessment plans and use of assessment results to improve the effectiveness of services and programs for students. Candidate must prepare bi-weekly payroll, accurately maintains HRIS and time card records for all employees. Also must maintain HR Coordinator duties that include, but not limited to, benefit administration, recruiting support and general HR support. Keep log of all sick and vacation time and, at beginning of fiscal year. Maintain personnel files in compliance with internal and external regulatory requirements. Maintain personnel database(s) in a timely and accurate manner. Generate reports as needed. Provide administrative support to the Director of Human Resources. Provide assistance with respect to administering VF’s employee performance appraisal program. Assist with Summer Camp employee’s hiring/payroll paperwork during the summer months. Minimum of 1 year solid experience processing, payroll for over 100 exempt and non-exempt employees, seasonal and per diem labor through an automated, Cloud-based payroll system. ADP Workforce Now experience desired. Minimum of 1 year solid experience working on an HR team, and have full employee life cycle knowledge. Strong knowledge of Microsoft Office. Education: Bachelor’s degree required. Payroll certification preferred. Confidentiality is a must, at all times. The Senior Director of Intuitional Advancement provides integral leadership and oversight for the overall fundraising, alumni, and parent relations at the institution. Reporting to and partnering with the Foundation’s President, the Senior Director will need to create and execute a dynamic fundraising plan to advance the institution’s vision of building sustainable philanthropic resources that will support investments in academic programs, and desired expansion. These forceful fundraising plans in their creation must have clearly defined goals, timeframes, and metrics. As the lead fundraiser, successful collaboration is essential to ensure productive working relationships to engage the heads of the College and the Academy, senior executive team, members of the Board of Trustees, as well as faculty and staff in identifying new or expanding current prospects to link programs with philanthropic opportunity. Must have the ability to lead, coach, mentor, and invigorate the Development team to accomplish fundraising and departmental goals. This team includes the Development Officer, Alumni Relations, Parent Relations and Advancement Database Administrator that are committed to increasing philanthropic revenue through individual giving, corporate, and foundation support. Imparts organizational direction and advisement to the Development Officer and other Advancement staff members in the cultivation and solicitation of a prospect pool of potential members. Promote and manage the institution’s prominent fundraising channel. is the Society of the Golden Sword consisting of donors at the $1,000.00 level. design and execution of an enhanced program to cultivate and secure EITC and OSTC gifts; work with the Marketing and Communications Director to launch social media campaigns; and spearhead development projects aimed at building a robust-long lasting major gifts pipeline for the sustainability of the school. Interpret and present data extracted from the construction of stewardship reports for donors of endowment and scholarship funds. Introduce a directed Major Gifts Program that brings new leadership to the fold; lead research efforts to uncover new wealth previously unknown to the school and make the appropriate connections to Valley Forge’s leadership; serve as a conduit to the President and Board in crafting cultivation strategies that utilize their resources most effectively. Direct the team in the building and managing of a prospect pool to the Society of the Golden Sword. Cultivate personal relationships with prospects through individual visits, personalized correspondence (electronic and paper), telephone, and participation in cultivation programs and events to educate donors about the needs and priorities of Valley Forge. Routinely solicit gifts in the range of $5,000 – $50,000 for Forge Fund goals. Travel, as appropriate, for the cultivation and solicitation of prospects, and represent the school at regional promotional events as a means of networking and fundraising. Expand the marketing and receipt of business gifts to support scholarship through Pennsylvania’s scholarship tax credit programs. Work with the business office and other major purchasing units to implement a vendor solicitation program to secure EITC and OSTC gifts from firms already close to the school. Streamline the process to allow VFMA Foundation to support potential donors. Work jointly with the Development Officer, Alumni, Parent Relations Coordinators, and alongside the Marketing and Communications Director work to implement and execute an on-going series of social media fundraising campaigns. Ensure Alumni and Parent newsletter are created and designed for engagement continuity. Develop and implement plans for a Senior Class Gift program. Develop strategies to raise Cadet awareness in the impact fundraising has on their Valley Forge experience (e.g. the creation of a Cadet fundraising committee; a “Philanthropy Day” to educate Cadets; or the use of Cadet produced videos for fundraising campaigns). Coordinate semester “thank you” and “how I am progressing at VF” correspondence from scholarship recipients to their benefactors. Support Alumni Relations with alumni volunteers to boost fundraising participation and dollar amounts among five-year reunion classes. Develop ideas for fundraising campaigns, outreach modes, and content. Exercise creativity in all areas to help maximize the return on investment and impact of development efforts. Participate collegially in the organization through cooperative staffing of departmental and institutional events, including events such as Homecoming, Recognition Weekend, Theinert Memorial 5K Run, golf outings, and some weekend sporting events, lectures, etc. Experience: A minimum of 10 years of fundraising experience and leadership, an understanding of industry ‘best practices,’ and strong familiarity with a variety of the field’s concepts, practices, and procedures. Must understand effective constituent relations and be able to work independently to achieve stated goals. Candidate must have exceptional communication and interpersonal abilities as well as strong organizational skills. Must be able to work evenings and weekends as necessary. Must have own transportation, be flexible and have the ability to travel as required. Well organized, detail-oriented, a self-starter, creative, ability to write and communicate effectively, ability to manage sensitive information, ability to be flexible and open to change. Must be proficient with Microsoft Word, Mail Merge, Excel, donor database software, Internet research, and Outlook. Experience with eTapestry a plus. Bachelors Degree and/or Master Degree required, PA Teaching Certificate is a plus. Certification in area subject desired. Instruct high school students using various pedagogical methods. Prepare course objectives and outlines of study following curriculum guidelines and the requirements of the academy. Assign lessons and assesses student progress, records results, and issues regular reports to administration. In support of the college preparatory academic program, to provide instruction and other academic activities that will enable the students to succeed in the next grade or higher level of education. As part of the boarding school model of education, to coach, advice, counsel, support or otherwise help, encourage and motivate cadets to achieve success both inside and outside of the classroom. In support of the character development program, is to serve as a motivating role model and to provide instruction to assist the cadets in their development of strong moral and ethical values. As part of the militarily structured system, promote the establishment and maintenance of high standards of cadet decorum and discipline. Study Hall Supervision as scheduled. Contribute to the efficient management and administration of the Academy as required. Inform the students about the academic rules, regulations, policies and standards. Participate and attend in Faculty Meetings, Department Meetings and In-Service Days. Attendance is mandatory for Academy & College Professional Development Day. Attend various Cadet Events and Parent-Teacher Conferences as required. Attend Opening Day Ceremony, Graduation Day Ceremony, Concerts, Parent-Teacher Conferences, and other events as required. Support the development of Cadets outside of the classroom in accordance with your personal plan of involvement as approved bu the Dean of the Academy. Maintain academic records, grades and lesson plans. Perform other duties as assigned by the Dean of the Academy. Experience: Minimum of three years teaching High School Mathematics. Demonstrate ability to work as part of a team in a positive, constructive manner. The candidate must be proficient with Microsoft Office, and Outlook. Well-organized, detail oriented, self-starter, ability to write and communicate effectively, works well under pressure. The TAC (Teach, Advise, and Counsel) Officer is responsible and accountable for the daily operations, training, discipline, leadership development, management and overall supervision of the cadets assigned to their unit. Maintains a safe and secure learning and living environment as well as oversees appropriate behavior management in accordance with the published rules and regulations. Is the primary point of contact for all actions associated with the cadets of their unit and are the primary counselor and role model to their cadets in shaping ethically mind citizen leaders of character. TAC’s also have additional duties in support of the Academy’s summer programs, training management and professional development. They are expected to develop both team and personal relationships with Cadets, built on trust and mutual respect and teach life skills. TACs lead by precept and example and are the embodiment of all the school was established on by its founder. The Barrack’s Advisor is responsible for advising, coaching and guiding the cadets who reside in their assigned barracks as they negotiate their cadet responsibilities. This includes but is not limited to academic, tactical, community, VFMAC, peer, family and personal responsibilities and challenges. LEADER: The TAC Officer is a positive role model and leader in their assigned units and is responsible for what the entire unit does or fails to do. The Officer is a model in appearance, conduct, language, bearing and leadership. Creates an orderly, disciplined, motivated and responsive environment with their unit which they can continually encourage, lead and teach the cadets. Officers must demonstrate a strong sense of purpose in molding today’s youth into mature goal oriented citizens focused on future success in today’s society. COUNSELOR: Responsible for providing both performance and developmental counseling to assist cadets in becoming better leaders themselves and other member of the corps as needed but not less than monthly. Representing the institution, may assume all the duties, liabilities and responsibilities of the lawful parent. Develops working relationships with other staff member such Chaplain’s Office, Guidance Department, Counseling Center and Health Center, as well as with other members of the Staff and Faculty, to provide the proper direction in a cadet’s life. ADVISOR: The TAC Officer maintains good order though positive interactions and gives guidance by administering appropriate corrective action, in the moment coaching and mentoring, leadership teachings while upholding standards. Cadets who do not meet the standard are subject to disciplinary actions within their unit according to published regulations and directives. TAC Officers are responsible for tracking, administering or recommending to the appropriate levels and boards for adjudication. TRAINER: The TAC Officer will be knowledgeable of all phases of drill and capable of instructing School of the Soldier, Manual of Arms, Saber and Sword Manual and Physical Training. Responsible for the selection, training and development of the cadet leaders within the unit, ensuring each cadet knows the expectation, goal and is supported to meet their leadership obligations. ADMINISTRATOR: The TAC Officer is responsible for insuring their unit meets all the administrative and operational daily inspections of their unit area to check for cleanliness, energy conservation and those inspection standards have been met. Prepares work orders relating to barracks damage and uniform fair wear and tear and attribute responsibility of cost. Perform officer in charge or other duties as directed by the Commandant of Cadets. Education: Bachelor’s Degree, in Social Sciences, i.e. Education, Counseling, or Social Work; or equivalent. Experience: Prior employment and/or life experience that demonstrates strong leadership, sound judgement, team building and individual initiative abilities. Prefer previous senior military or law enforcement experience with company command experience. Previous experience working with adolescent boys, (Middle/High School) and young College aged adults (female/male) and/or background experience as a counselor within a residential/boarding school environment. Good oral and written communication skills with developmental leadership skills. Must comply with background checks in accordance with Pennsylvania Dept. of Ed. Must be highly energetic, observant, and aware and must be an individual of integrity. Flexible Schedule including nights and weekends. The Head Baseball Coach is responsible for planning and directing the conditioning, training, and performance of student athletes, along with the reinforcement of the core values of Valley Forge Military Academy. This position reports directly to the Director of Athletics. This is a professional head coaching position and all of the duties of the position must be conducted in adherence with the policies, rules, and regulations of the Federal/State Department of Education and the PIAA Organization. Employees in this job class may be subject to the terms and conditions of an employment contract which is typically subject to review and renewal on an annual basis. This position directs a staff of Assistant Coaches who have specific responsibility for training, coaching, mentoring, and directing the activities of assigned student athletes. This work may include coaching in outside areas, hot and cold weather, and exposure to elements such as rain, snow, dirt, fumes, and loud noises. The duties require moderate to active physical activity, handling of weights and objects weighing 25 to 50 pounds, and standing or walking more than four hours per day. The following list provides examples of the most typical duties for positions in this job class. Individual positions may not include all of the examples listed, nor does the list include all work that may be assigned to positions in this job class. Direct Assistant Coaches and Graduate Students in the overall planning and execution of the PIAA baseball program. Work with the Admissions Department and Athletics Office to follow up on all leads or inquiries coming from potential student athletes, parents, alumni, admissions or athletic office personnel. Prospective students should reflect the highest qualities of academics and character necessary to fit into the regimental system and responsibilities. Monitor academic progress and status of team members, implementing action plans through appropriate staff when needed. Monitor and maintain the discipline and conduct of student athletes to support the image and reputation of the athletics program. Plan coaching and practice sessions in accordance with Department of Education and PIAA Organization guidelines. Coach team members individually and in groups, and demonstrate game techniques. Develop and implement game strategy and position assignments. Oversee the strength and conditioning programs for student athletes. Manage all operational, fiscal, and administrative activities for the specific sports program. Promote the athletic program and specific sport through community events, alumni/public speaking, fundraising, and marketing. Ensure adherence to all Department of Education PIAA, and league rules by athletes and supporting staff. Experience: Prior head coaching experience at the high school and or college level, HS and or College playing experience a plus, knowledge of PIAA Organization rules and guidelines. Other/Special: Must have good communication and supervisory skills, the ability to make decisions under pressure, maturity, and a commitment to the school value system. Ability to engage Alumni and parents into fund raising is essential. The College Head Baseball Coach is responsible for planning and directing the recruitment, conditioning, training, and performance of student athletes, along with fiscal program management for Valley Forge Military College’s Junior College Baseball Program. This position reports directly to the Director of Athletics. This is a professional head coaching position and all of the duties of the position must be conducted in adherence with the policies, rules, and regulations of affiliated national, regional, and state intercollegiate athletic associations, National Junior College Athletic Association, and the College. Employees in this job class may be subject to the terms and conditions of an employment contract which is typically subject to review and renewal on an annual basis. Direct Assistant Coaches and Graduate Students in the overall planning and execution of the intercollegiate Baseball program. Recruit quality prospective student athletes and ensure timely submission of their academic records for admissions. Plan coaching and practice sessions in accordance with NJCAA and Conference regulations. Ensure adherence to all Association, Conference, and College rules by athletes and supporting staff. Experience: Prior head coaching experience at the high school, and or college level, college playing experience, knowledge of NCAA and NJCAA rules and guidelines.